Dedicated Hosts and Instances – What’s The Difference? Amazon Web Services (AWS) has two offerings for dedicated cloud computing. Many businesses opt for a dedicated cloud due to compliance and regulatory concerns or to ensure that their data doesn’t reside on the same server as data from other companies. To provide customers with dedicated cloud computing services AWS developed two options for clients using Amazon Elastic Compute Cloud (EC2) instances. Customers can choose from Amazon EC2 Dedicated Instances and Amazon EC2 Dedicated Hosts. Both options provide clients with cloud instances that run on dedicated physical hardware in the AWS data center ensuring that only that client’s data is stored and processed on a physical server. Yet even with similar computational offerings, there are some major differences between Dedicated Instances and Dedicated Hosts. Here we explore some of the differences in-depth. Right off the bat, you’ll notice that Amazon EC2 Dedicated Instances and Amazon EC2 Dedicated Hosts differ in the way they are priced. Dedicated instances offer a few different options for paying for services. Users can pay on-demand for only what they use, without any long-term commitments. Users can also enjoy up to a 70% discount by purchasing Reserved Instances which pay for services in advanced rather than by demand. With Dedicated Instances you can pay per hour for compute capacity. In addition to the hourly rate for computing capacity, users are also charged a $2 per hour dedicated per region fee. This fee is only charged once per hour, instead of by the number of Dedicated Instances running. Dedicated Hosts are not subject to a per instance bulling, which includes the $2 per hour per region fee. Instead Amazon EC2 Dedicated Hosts are charged per host. Users pay for Dedicated Hosts per hour for each active Dedicated Host but are not billed for instance usage. This option also eliminates the $2 per hour dedicated per region fee. However, EC2 dedicated hosts cost more than Dedicated Instances. While pricing varies by customer and by instance family, region, and payment offer – in general, Dedicated Hosts cost between $1 to $2 per hour, whereas Dedicated Instances cost just a few cents per hour. 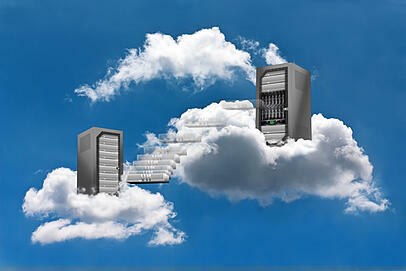 Businesses love cloud computing as it allows users to scale up or down for storage space and computing power as needed. In order to increase or decrease capacities, users have different steps to take depending on if they are using Dedicated Hosts or Dedicated Instances. With Dedicated Instances, users can scale up or down through the AWS Management Console. As users get to choose the placement of their instances on their dedicated physical server with Dedicated Hosts, adding capacity to this configuration is done through an allocation request. Users are allowed to implement up to two On-Demand Dedicated Hosts per instance family, per region. If this limit needs to be increased, users have to request an increase through an allocation request.